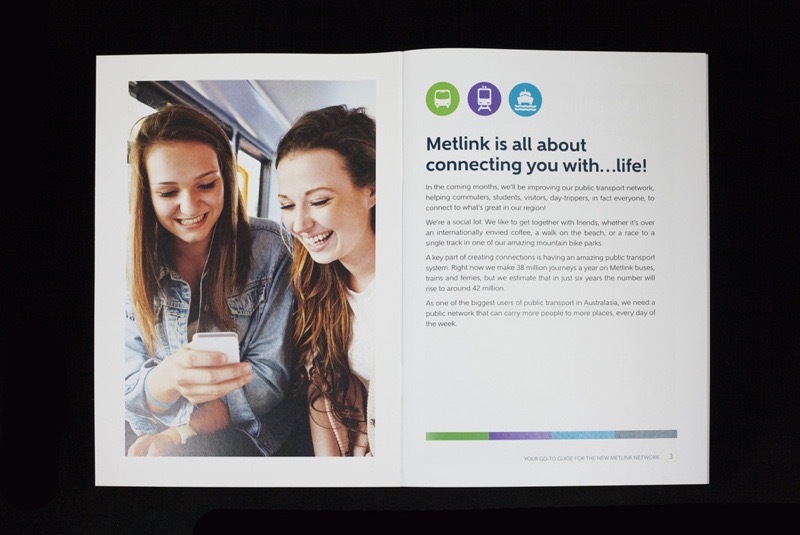 In 2018 Metlink were in the process of a major update to the Wellington public transport network, rejigging timetables across the region so as to improve the connection between Metlink buses, trains and ferries. They wanted to produce an A5 booklet that would communicate the extent of these changes and asked us to help. First, we designed the 24-page document in Meltink's brand style and then printed 1000 booklets in just a few days to meet a deadline.